As the peaceful doves hang around the SES campus, students are reminded of ways to act that bring about a sense of "huh-ping" of peace. The 2018-19 Peace Pole ceremony showcased the language of Chinese. 4th grade students enjoyed sharing their research with the school community. The 5th rgaders shared a poem about kindness. And the entire school sang "If I Had a Hammer" filling the school gym with happy voices commited to helping their school be peaceful. Scholastic Book Fair October 1-4! The Book Fair will be held October 1-4. The Book Fair will be open during Parent/Teacher conferences on October 2 from 3:30-6:00. Supervised activities for school-age children will be in the cafeteria from 3:30-5:30 on October 2. You can sign up to help read to students, supervise them as they shop, even assist with student purchases! Volunteers make this essential fundraiser work! Follow this link for fun reading activities everyday of the month! Congratulations to our Sewanee Elementary Summer Super Readers! Our Summer Super Readers will be announced at the Friday Assembly on Friday, August 24! Summer Super Reading Program 2018! This summer continue the joy of reading in the comfort of your home, under your favorite tree, or on your favorite vacation spot! Once again, Sewanee Elementary Students are encouraged to read 20 minutes every day to stay ready for school in the fall. We all know practice makes you stronger! We set a record last year for the most number of minutes read and were recognized by Scholastic for our achievement. Let's do it again!! Two of our students were recognized as being among the top 100 readers in the ENTIRE STATE! Wow! Will YOU be recognized this year? Some of our students got FREE BOOKS from Barnes and Noble! Will YOU get free books? Turn in your log to Mrs. Bruce on August 10. *Read 2000 minutes for the Top 100 consideration and complete and mail the First Lady Top 100 form. *If you want to get FREE books, read 8 books, write what you like about each on the Barnes and Noble form and turn it in to the Sewanee University college bookstore. **If you want to be to a top 100 reader, read at least 2000 minutes between June 1 and July 27 and turn in the Tennessee's First Lady's Top 100 Reader Competition form (the same log Sewanee Elementary is using this year). BUT, you have to mail a copy of the form to the address on the First Lady form by July 27. The great Book Swap will be held on Monday, May 14. Each student is encouraged to donate 1 gently used book from their personal collection at home. Students can donate up to 5 books. On Monday, May 14, students will visit the Book Swap area and pick one book to take home for free! This is a great way to stock up on a "new read" for the summer! The Book Fair is a fun week-long event allowing students and families to shop for Scholastic published books during the school day. Volunteers help this even run smoothly for everyone! You can also shop online beginning next week! Judge a book by its cover?! Check out the new feature with our Online Public Access Catalog! Now students can see the front cover of the books as they search the catalog for their "just right" book. Seeing the cover is very useful. I hope you and your child will enjoy exploring together all the possible books he/she can check out! Click on the "lighthouse" for a more advanced search. Click on the "smiling bubble face" for a quick search by broad subject. Science Fair Ideas--find one in a book! Parents, there are several books in the SES library that may be useful to your student as he/she considers what his/her science project will be about. You can access a list of books with science project ideas here . PAWS for Books: Scholastic Book Fair March 5-9! Help select the next Volunteer State Book Award book! All 20 of the nominated picture books are in the library. Each student who reads all 20 will be invited to have a pizza party in the library. There will be a party held in December and another one in the second semester. Students who read at least 3 titles will be eligible to vote in the spring for the VSBA winning book. Want to know more about VSBA? Click here. The Scholastic Wild West: Saddle Up and Read Book Fair will be held Sept. 25-29. All proceeds go to purchasing quality literay materials for the SES library! The Book Fair is open until 6:30 on Sept. 25 during Parent Teacher Conferences. Fun activities for children will be held in the cafeteria on Sept. 25 from 3:30-5:00. Join in the fun as a volunteer! Wow! SES Tigers love to read! Sewanee Elementary School students read 69,348 minutes this summer. The top readers in each grade were named the 2017 Summer Super Readers: Will Turrell, fifth grade, and Miren Colbert, third grade, set new SES reading records. Will read 12,800 minutes and Miren read 11,485 minutes! Gillian O'Connell, first grade, completed all 25 of the summer reading challenges posed by the SES library! Some of the challenges included reading a "how-to" book, a menu, a recipe, reading to a stuffed animal, reading to a pet and reading with a flashlight. Two SES students have been named Tennessee's Top 100 Readers. Maggie Lu Rudd, second grade, and Mollye Casey, fourth grade, will join Governor Bill and First Lady Crissy Haslam for a Kids' State Dinner to celebrate their success. Maggie Lu and Mollye Casey each read over 5,000 minutes this summer! Sewanee Elementary School encourages students to read 20 minutes a day. Several students accepted Read20 Challenge for the summer and read at least 600 minutes during the summer break: Cabell Thompson (4,040), Elijah Bunting (2,090), Gillian O'Connell (1,014), Sara Margaret (822), Annanoel Sparacio (805), Samuel Troutman (615), Maggie Lu Rudd (5,000), Mason Sparacio (1,405), Adeline Pond (1,342), Kayson James (912), Will Roberts (480), Miren Colbert (11,485), Trinity Sparacio 92,685), Theo Schrader (590), Mollye Casey (5,130), Eliot Sparacio (3,620), Eliza Griffey (2,555), Amelia Pond (1,738), Griff Wilson (1,700), Vie Virkhous (826), Rover Robinson (730), Will Turrell (12,800), Ellie Roberts (1,570), Maya Mauzy (12,80), Isabel Eko (870), and Ann Wright (690). In August, a Summer Super Reader will be identified in each grade. Will you be the next Summer Super Reader? Read, read, read and record the minutes your read each time. 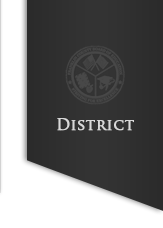 Use the log found on the Sewanee Elementary School home page or found the SES Library homepage. You can also log your minutes at Scholastic's summer reading site. If that isn't enough fun, you can earn a free book from Barnes and Noble once you have read 8 books. The Barnes and Noble book form is found on the Sewanee Elementary home page and from the SES Library homepage. Stock up on great reading materials at the Buy One Get One Book Fair May 15-22. Why another book fair? Click here! Everything is buy one, get one of equal or lesser value for FREE! The fair will be open until 6:30 on May 18 during the Social Studies Around the World Fair. What a great way to encourage summer reading, reward hard work at school, and enjoy spending time reading together. Research shows that students who read 20 minutes a day remain prepared for the next grade and enter school in the fall ready to succeed. Volunteers needed to help the book fair be successful! Come help your child and all students at SES enjoy the Book Fair! Let's celebrate the joy of reading every day! Dress as your favorite book character on Friday, March 3. This day ends our week-long celebration of reading and honoring the contribution of Dr. Seuss to children's literature. I can't wait to see who you choose to be! Come support our school's Scholastic Book Fair! Book Fair shopping in the library is March 6-10. Special activities for students will be held March 6 from 3:30 - 5:00. The book fair will be open during parent/teacher conferences until 6:30. It's fun to get a brand new book! Scholastic, Kellog's and Walmart have teamed up to help families earn FREE books. SES now has a limited number of ebooks available! These books can be accessed from any device with a web browser--almost any tablet, smart phone or computer will work! Wi-fi is required to access the ebook initially, but most of the ebooks can be downloaded to read anywhere. Licensed Marvel titles cannot be downloaded. Try it today and let Mrs. Bruce know what you think of this option. The First LAdy of the state of Tennessee, Chrissy Haslam, invites all families to participate in the Read20 "Book of the Month" activity. The book for November is The Hoboken Chicken Emergency, deemed a close winner in the SES Best Funny Chapter contest just two years ago. Students at SES are exploring the world with our camping theme. All students, teachers, and staff will be reading this story this month. Parents can hear it, too, by clicking here. Join us Friday, November 18 at our Friday morning assembly as we hear the story read aloud and pretend to be on a camping trip. Wear your PJs and get ready to have "s;more fun" at SES! Every year students learn to say "May Peace Prevail on Earth" in a different language. The 4th grade classes research the country learning its history and literature and culture. The 5th grader classes perform a musical selection. The first Peace Pole was created in 1955. That same year the song, Let there be peace on earth, was extremely popular in the states. SES students have used a verse from this song, Let there be peace on earth and let it begin with me, as their big idea as we discussed how we each can act to make the world more peaceful. Book Fair Sept. 26-30 and online, too! Ahoy! If ye be a book lovin' landlubber, make yer way to the SES library this week! Come find fun, interesting books to share with your child! All proceeds go toward purchasing literacy materials for our SES students, including books for the library. Bookaneers know that books are the treasure! Super Summer Readers Announced for 2016! As a school, Sewanee Elementary Students read 66,426 minutes during the 2016 summer break! All students were encourage to participate in reading and keeping track of their minutes. Summer Reading Logs Due Monday, August 15! The students who read the most minutes in each grade will be identified at the Friday morning assembly on August 19! Families: Join the Tennessee First Lady's Read 20 Book Club (free) and enjoy great stories together all year! 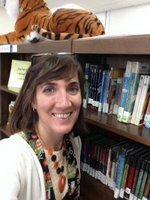 Crissy Haslam knows a key way to help your child succeed in school--reading together! Kick off this school year with a commitment to reading with your children 20 minutes a day. Reading a fun novel is a great way to begin! 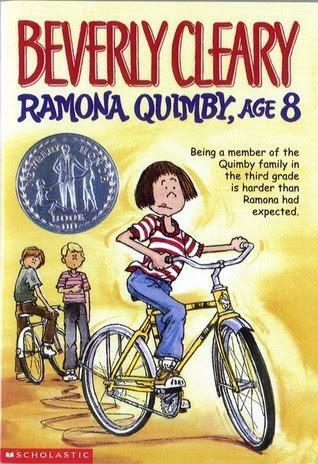 Ramona Quimby Age 8 by Beverly Cleary stars a relatable 8 year old who gets into mischief! Enjoy reading it together. Summer Reading: Just Keep Reading! We are half-way into our summer vacation! Woo-hoo! Do you have a favorite reading spot? Don't forget to log your reading minutes. You could be the next Summer Super Reader! Scholastic's Buy One Get One Book Fair provides great books for your family to purchase while getting a book of equal or lesser value for free! A great way to stock up on summer reading material! May 16-18! 3 days only! Scholastic Book Fair February 29-March 4! 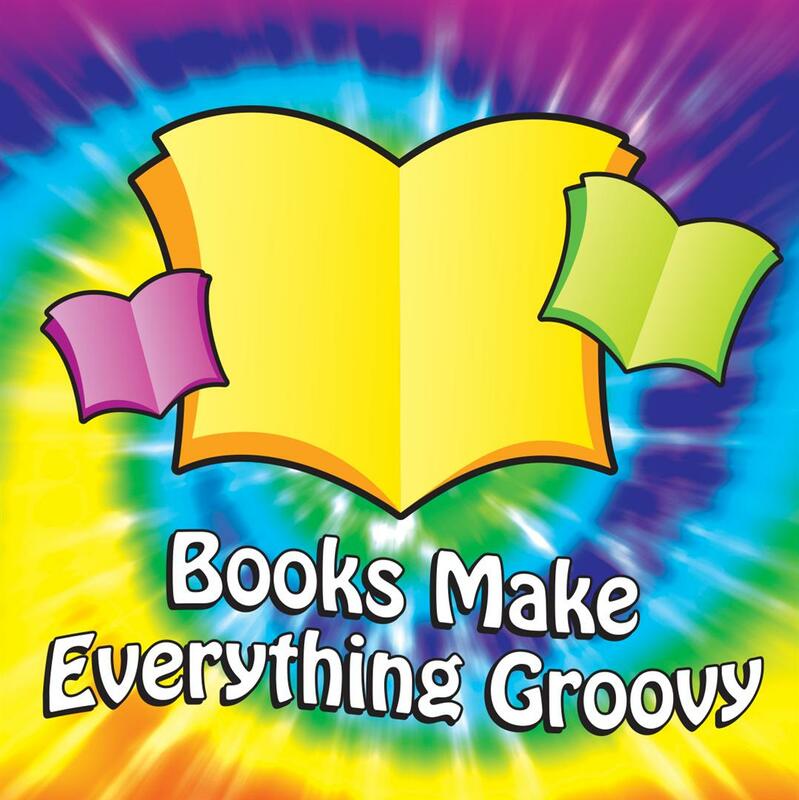 We are all Feelin' Groovy about the upcoming Scholastic Book Fair! 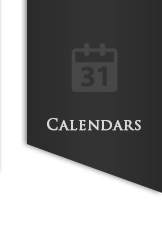 Mark your calendars for February 29-March 4 for a week of shopping fun! This is a great way to celebrate Read Across America week! 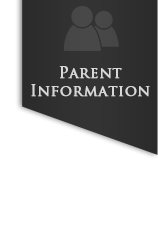 There will be supervised activities for children in the cafeteria from 3:30- 5:00 on February 29 so that you can shop and visit with your child's teacher during Parent/Teacher Conferences that evening. All proceeds go to benefit literacy activities at Sewanee Elementary School, including purchasing new, award-winning books for the library collection for all to enjoy. FYI--The school district does not give the SES library funds. The book fair and the SPO donation provide the entire budget for the library. Your generosity is appreciated by all of our students who are eager to read the latest children's books and all of our teachers who are eager to supplement their teaching with quality literature through reading groups and read alouds. As always, thank you for supporting your child's love for reading! Madeline, Nate the Great, Clementine, Percy Jackson, Clifford, Pinkalicious.....who will you be for Book Character Day, Tuesday, Nov. 24? This mobile app gives your patrons instant access to search the library catalog from their favorite mobile device. Search for DVDs, CDs, and more. Access My Items to manage their account, bookbags, and more. Make plans to find great reading materials for fall break at the Fall 2015 Scholastic Book Fair. Shop before or after your Parent/Teacher conference time. Games and activities related to the book fair will be held in the cafeteria. Click here to learn more about the book fair and how you can shop online! Congratulations to all of our summer readers. Sewanee Elementary School students read 46, 660 minutes this summer....a record! The fifth grade students and 2nd grade students read more minutes than all other grades. These students were named the Super Summer Readers and will pick out a book for the Barnes and Noble bookstore to donate to the Sewanee Library. These students will be first to check out their special book! Just like the temperature, the reading meter at Sewanee Elementary School keeps going up! As of Monday, July 20, SES students have recorded reading 19,248 minutes! Wow! Think we can read 20,000 minutes before school starts?! Go to ww.scholastic.com/summer to log in your minutes or keep track of them on a paper log (available from the school website or from local area libraries). Keep reading! As of June 28, SES students have logged over 16,108 minutes of reading at scholastic.com/summer. Remember, tracking your minutes on paper is a-ok, too! Mrs. Bruce is reading Mouseheart as she sits on the beach. She read I survived Hurricane Katrina yesterday and another Ivy and Bean adventure during the long car ride. What are you reading? This year SES students are encouraged to keep track of the number of minutes they read from May 4 - September 4. Sewanee Elementary students will join students from around the world to break the Scholastic World Record for Summer Reading. Students may record their minutes on a paper log or online at Scholastic.com/summer Unique usernames and passwords will be given to each student. Generally, students in grades K-2nd grade students typically read (and have read to them) picture books and beginning chapter books. Students in grades 3-5 read more novels, chapter books. However, students read by ability not by chronological age, so it is important to let your student try out the book by reading a few paragraphs and self-check his/her ability to decode unfamiliar words and comprehend what is happening in the story. Wondering what to encourage your child to read? Accelerated Reader Suggestions This link allows you to search by reading level and interest level such as 2.1 to 2.5 (second grade 1st month to second grade 5th month). 50 Top Choices for each grade Scholastic has a list of the top 50 picks for each grade. Finally, the Franklin County library offers storytime each week along with a special activity. Their website, like Mrs. Bruce's, offers a link to TN R.E.A.D.S., the TN 1st Lady's Book Club, and the Tennessee Electronic Library. The Monteagle May Justus library will also be hosting a summer reading program with weekly storytime and activities. The 5th grade classes are following three nestcams to observe three pairs of Bald Eagles and learn about these national birds. 1. The Decorah, Iowa nest has three eggs in its clutch. Egg #1 hatched Friday, March 27 in the evening. Egg #2 hatched on Sunday, March 29. Both parents were there. How cool! Egg # 3 should hatch soon! 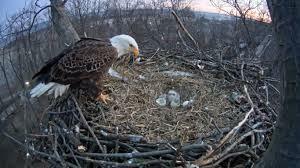 Follow the Decorah nestcam during spring break and watch these marvelous birds. 2. The Harrison Bay State Park clutch has two eggs and they have hatched too! Follow the Harrison Bay Park nestcam and watch these cutie pies grow! 3. The nest at Berry College had two eggs in its clutch. They hatched during our "snow break" and are preparing to fledge the nest. Follow the Berry College eaglets and watch them fly! The Franklin County Humane Society/Animal Harbor recently donated several books to our library that feature tales of lovable animals, animal facts, and adventure stories. Come check out these new great books! Here is a resource that may interest you and your family. Look for information about Summer Reading soon! The second order of books ordered using the proceeds from the 2014 Fall Scholastic Book Fair has arrived. It's time for another Scholastic Book Fair! Click here to volunteer and join the fun! Under the Sea--an Ocean of Books awaits you at the Sewanee Elementary School Library Marh 2-6. We'll be open Monday, March 2 from 3:00-6:30 during Parent/Teacher Conferneces! SPO will have games and activities for families from 4:30-6:00. Find lots of good titles to enjoy! Any of these sites would be a GREAT way to practice your reading during weekends and breaks away from school. Keep having fun reading! read to you by movie stars! all while playing fun games! Come as your favorite book character or author! Henry (or maybe Mudge) from Henry and Mudge by Cynthia Rylant? Hermione (or maybe Harry) from The Harry Potter Series by JK Rowling? Emily Elizabeth (or maybe Clifford) from Clifford, the big red dog by Bridwell? How about Pinkalicious, Frog (or Toad), Jack (or Annie), Laura Ingalls Wilder, Dr. Seuss, The Big Bad Wolf, the gingerbread man, Junie B Jones, Alexander (who had a terrible, no good, very bad day). The first order of new books has arrived! Come check out the great reads waiting for you in the library! The 4th Graders are preparing for the annual Peace Pole ceremony. This year we will add the phrase "May Peace Prevail On Earth" in Vietnamese. Working with a university student, the students are learning how to pronounce this phrase using the tonal language of Vietnamese. The students are also developing their information research skills using atlases, almanacs, encyclopedias, nonfiction texts and online resources to learn about this country. The students will display and share what they have learned on Friday, Oct. 3 during the Peace Pole ceremony. The community at large is welcome to join us! The Scholastic Book Fair has books for all the readers in your life! There are many opportunities for you to volunteer with the Book Fair, too! And what could be more convenient than shopping online?! You can shop online for even more goodies beginning Sept. 17 and continuing through October 7. This is a great way to encourage grandparents, aunts, uncles, friends, to make purchases for holiday gifts and support the library at your child's school. What a win-win! Look forward to seeing you at the book fair! Summer reading programs are happening at a library near you! Each week: Wednesday at 1:30 at the Franklin County Library and Thursdays at 10:00 the May Justus Memorial Library in Monteagle. Be a Summer Super Reader! Record what you read this summer and you may be the winner in the fall! 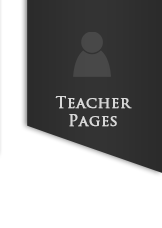 Reading log sheets can be printed from the SES website or from the Summer Reading Forms section of this site. Looking for ways to practice reading comprehension with your child? Register for a free account at a resource site many teachers use:ReadWorks.org. This link will take you to a selection of passages you can read with your rising 1st or 2nd grader, but once you are logged in, you can access a whole lot more!